Pinterest is full of amazing smoothie recipes (see our favourites below) but we never seem to have the right ingredients on hand. Wouldn’t it be great if you just knew how to pull together the right elements to create your own marvellous smoothie creations?! Never fear, we have got you covered. 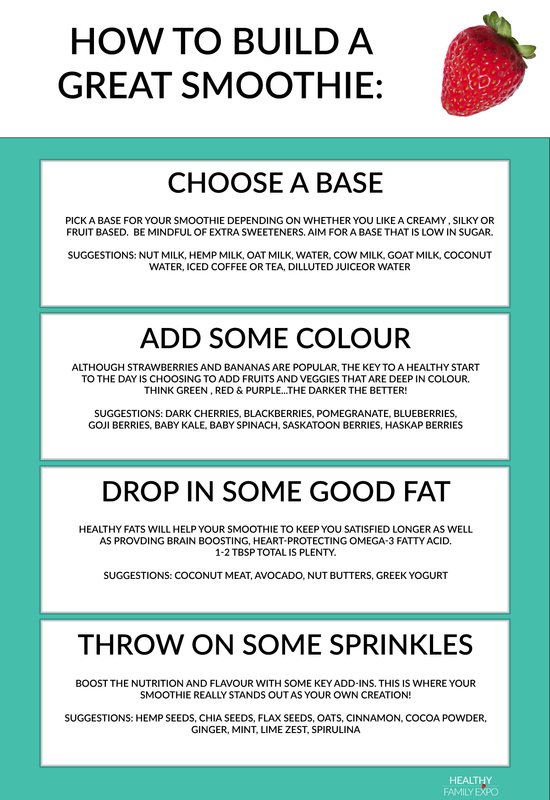 Here is our guide to creating smoothie masterpieces! 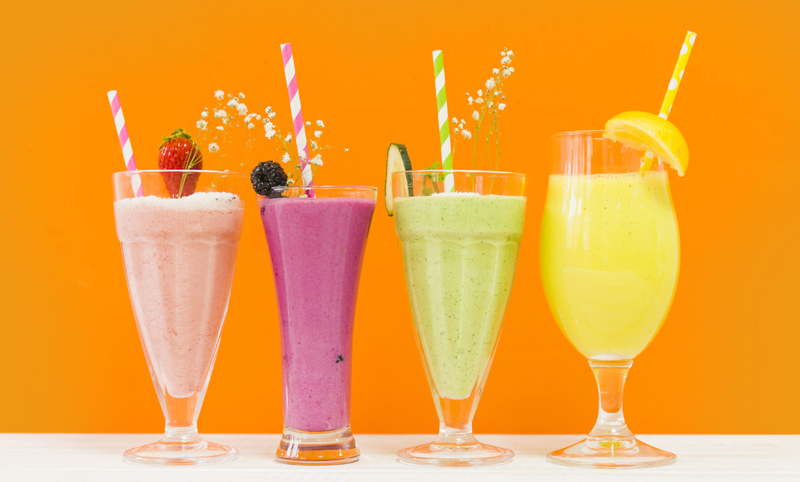 Pick a base for your smoothie depending on whether you like a creamy , silky or fruit based. be mindful of extra sweeteners. aim for a base that is low in sugar. 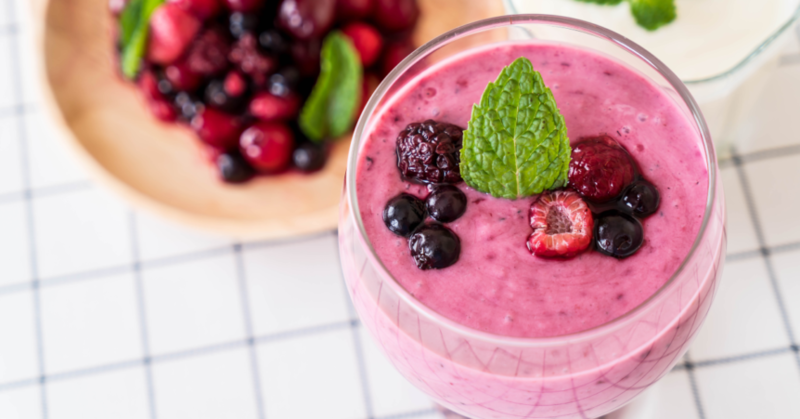 Although strawberries and bananas are popular, the key to a healthy start to the day is choosing to add fruits and veggies that are deep in colour. Think green, red & purple…the darker the better! Healthy fats will help your smoothie to keep you satisfied longer as well as providing brain boosting, heart-protecting omega-3 fatty acid. 1-2 tbsp total is plenty. boost the nutrition and flavour with some key add-ins. 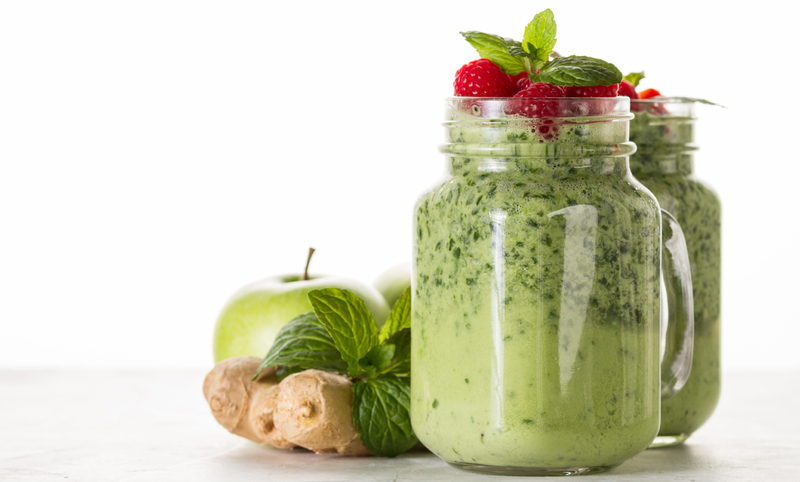 This is where your smoothie really stands out as your own creation! Have a favourite combination that your family loves? We would love to hear it ! We would love to hear about what you create using our guide. The sky is the limit when it comes to delicious ways to create a healthy beverage that boosts your energy! Looking for more ideas? You can check out our Pinterest page or check out these 12 SMOOTHIES TO START THE DAY RIGHT.